23 states in the U.S., plus Washington, D.C., have passed laws to make medical marijuana use legal. When you look at the numbers, it’s easy to see why more and more states are choosing to legalize medical marijuana. According to one report from November, 2013, the national legal medical marijuana market is worth about $1.53 billion—and is expected to be worth $10.2 billion in five years. Legalization of cannabis in Maryland happened just recently, and could mean upwards of $134.6 million in tax revenues each year. Now is the time to think about starting your own medical marijuana dispensary in Maryland. 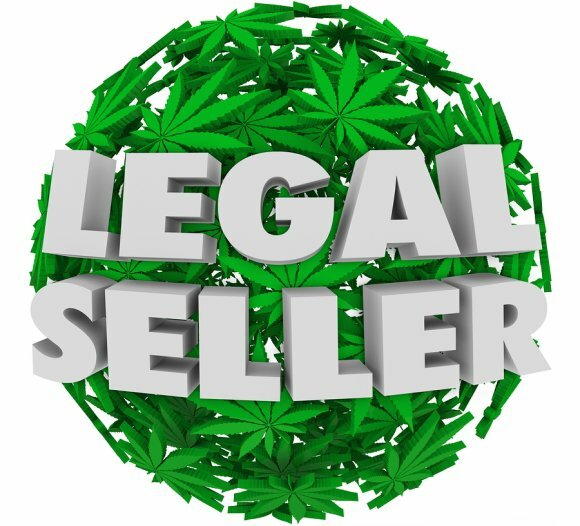 You’ll need to make sure you are doing business in accordance with all governmental regulations, so trust a medical marijuana lawyer to be part of your team. Check out this infographic to learn more about the movement to legalize cannabis, and how you can get started in cannabusiness. Please share with your friends and fellow entrepreneurs. There have been some new MD marijuana laws, including SB 364, which decriminalizes the possession of less than 10 grams of marijuana. Under the MD marijuana law, those found in possession of this amount will be subject to a civil penalty, rather than the previous criminal penalty of $500 and up to 90 days in jail. These new marijuana laws took effect on October 1, 2014. You can learn more about Maryland marijuana laws by watching this news clip. You’ll learn that critics of the legislation point out that the law doesn’t remove the criminal penalties for possession of paraphernalia. You’ll also hear about the new civil penalties for possession of less than 10 grams. The journey to legalize medical marijuana in Maryland has been anything but smooth. Setting aside the controversy of the MD marijuana laws themselves, many people are upset with the way in which the state plans to regulate cannabusinesses. Although HB 881 officially took effect on July 1, 2014, the Natalie M. LaPrade Medical Marijuana Commission has yet to finalize regulations regarding the exact way in which cannabusinesses will be handled in the state. For example, the commission recently proposed a schedule of fees for marijuana cultivation facilities and medical marijuana dispensaries. Public reactions to the proposed fees have been largely negative. The commission has planned to issue 15 licenses to medical marijuana growers to start with. Its members recently announced that they might charge these growers as much as $125,000 in fees. While this sum seems exorbitant, it might have been met with less criticism had it been a one-time fee. However, the panel recommended making it an annual fee. Prospective cannabusiness owners who plan to open a medical marijuana dispensary can expect comparatively lighter fees – $40,000 per year. However, these fees are on top of the prohibitively expensive application fees, which can run as high as $6,000. Additionally, those who wish to start a Maryland medical marijuana business must provide thorough documentation with regard to the sources of their capital. The General Assembly has noted that taxpayer money will not be financing the fledgling medical marijuana industry in Maryland. It’s been estimated that about 45,000 patients per year might apply for a patient ID card. The program to evaluate patient eligibility, inspect growers and dispensaries, and launch a comprehensive public education campaign is expected to cost about $3.5 million per year. Proponents of the proposed fee schedules note that the hefty fees for growing and dispensing medical marijuana are necessary to partially fund the cost of the program. However, opponents note that the sheer amount of the annual fees could force small medical marijuana dispensaries and other cannabusinesses out of the industry. They have also noted that the fees seem out of alignment with the projected demand for the product, and that prohibitively expensive operating costs could fuel black market sales. If you plan to open a Maryland cannabusiness, you’re likely excited to get your share of what is expected to grow into a multi-billion dollar industry. However, for your cannabusiness to be successful—and legal—you must maintain strict adherence with all applicable regulations . Since marijuana laws are quickly evolving, it’s best to consult a medical marijuana lawyer regarding the latest regulations. Maintaining an ongoing relationship with a medical marijuana lawyer can ensure that your business never runs afoul of state law. The regulations for cannabusinesses are strict and apply to every aspect of the business, from obtaining the proper permits to devising a security plan to documenting the source of your capital. 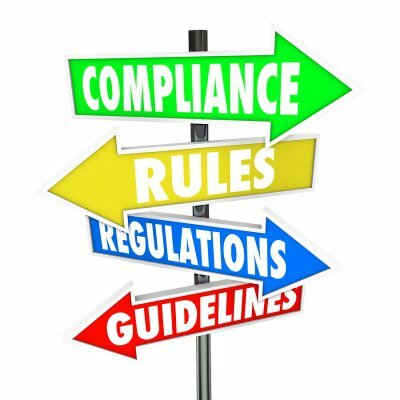 These regulations apply to four types of cannabusinesses in Maryland: Cultivators, safety compliance facilities (laboratories), retailers (dispensaries), and marijuana product manufacturers, such as those that produce marijuana-infused food items. Your lawyer can ensure that the type of business you plan to operate stays in compliance by submitting the appropriate application and renewal fees, prohibiting those under 21 from accessing your premises, and labeling your products correctly.